You’d think with a giant face on a wall you’d feel like you’re being watched. But this lady doesn’t appear to be watching anyone. Just staring off into space in her own melancholy way. Categories: Murals | Tags: art, face, Mural, Photography, Portland Oregon, Street art | Permalink. 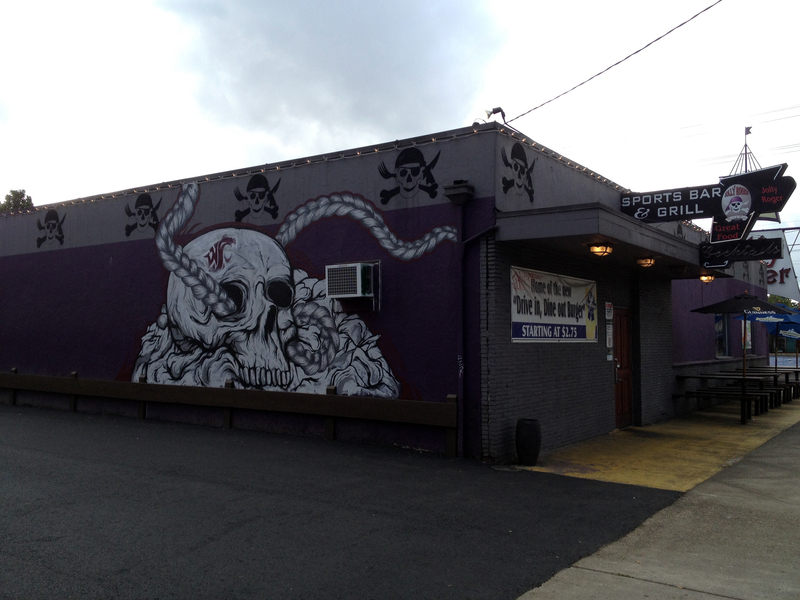 Categories: Murals | Tags: art, Jolly Roger, Mural, Photography, Portland Oregon, Street art | Permalink. I was out getting my haircut. I like to go to the Aveda Institute where you can have students cut your hair for $12 and it actually turns out really nice. But it takes about 2 hours, so you have to have some time to kill. 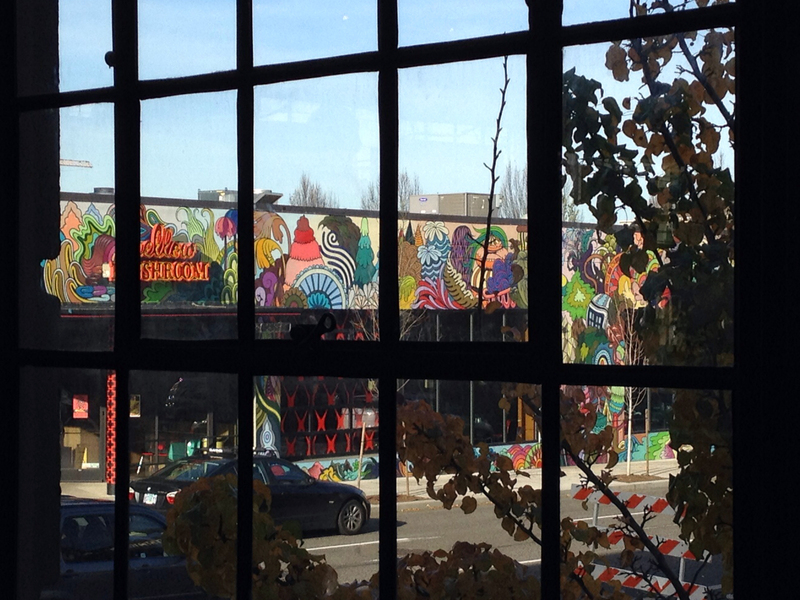 While I was killing time, I scanned the streets outside the window, and what do I see, a mural! Mellow Mushroom is a pizza place that I’ve never been to, but have heard about. 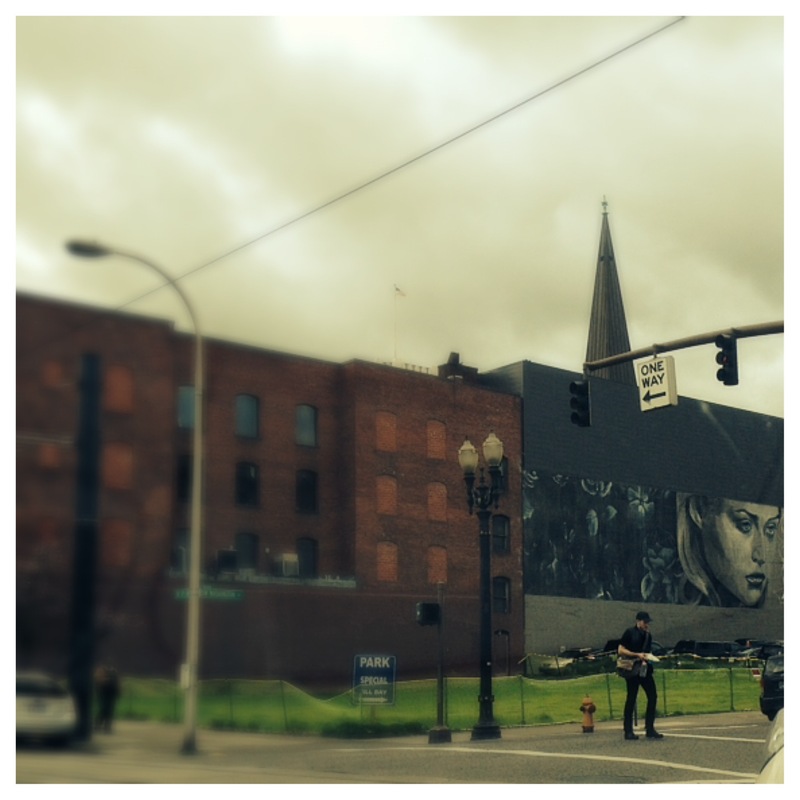 Categories: Murals | Tags: art, Mellow Mushroom, Mural, Photography, Portland Oregon, Street art | Permalink. I keep trying to place some meaning in what the fish is saying, but I can’t fit it together. In the end, that is what I like most about it. It leaves you wondering. Turns out, I showed these pictures to my sweetie, and he knows the artist that did it. Crazy small world man. Categories: Nature | Tags: art, Mural, painting, Photography, Portland Oregon, Street art | Permalink. Categories: Murals | Tags: art, Mural, people, Photography, Portland Oregon, skateboarding, skater, Street art | Permalink. There are so many amazing creatures all wrapped up in here. Just when you think you’ve found them all, you see another one! Categories: Murals | Tags: animals, art, birds, Mural, painting, Photography, Street art, tree, tree of life, wildlife | Permalink. It’s pretty cool when you read the little story-board too. Categories: Murals | Tags: art, Estacada, Mural, Oregon, Photography, Street art, trains | Permalink.